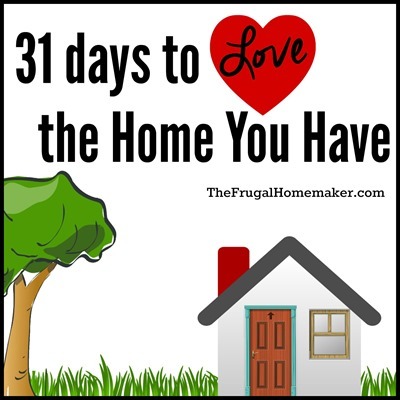 You may have worked hard the last few days decluttering, cleaning off surfaces, and making your kitchen pretty. But your sense of sight is not the only thing that helps you feel at home and love the home you have – your sense of smell does too! Sure every home has dirty socks, smelly trash cans, the lingering smells of dinner, etc. 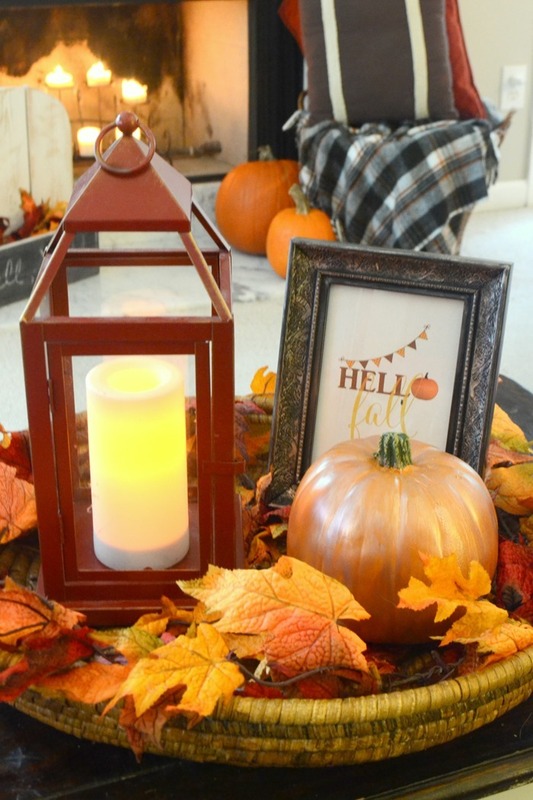 But find some ways to freshen up your home – open the windows on one of these cooler fall days we are having and let some fresh air in, wash your sheets, vacuum, light a candle, put some potpourri on the stove, or bake some cookies! I loved this part of Melissa’s book where she talks about our homes being a BEAUTIFUL mess – yes they can be beautiful and daily lived in as well. If we take that approach. “Real life seems to get labeled as messy while anything romantic, such as a table set with the good dishes (especially if you have kids), or anything clean, such as a tidy family room, gets the bump rap as being out of reach and out of touch for everyday living.” She then states how her home has smelly socks, dirty dishes, and messes daily just like everyone else does. “But are unsightly things the only standards by which we can measure what is true about who we are? Please, no. I don’t limit the extent of my creative experience and appreciation for my home to my clever techniques for piling the dirty dishes on the counter as high as I can without them crashing to the floor.” – Love the Home you Have, p. 76-77. So don’t think you can’t light a candle at dinner tonight because you are just having spaghetti on plastic plates– just do it! Even if you have kids – just make sure it is out of reach or use something like a lantern – they will think it is special and fun. Last year one of our countdown to Christmas traditions we did with my nieces and nephew one weekend was to have a pancakes in pj’s candlelit dinner and they LOVED it. They have already asked if we can do it again this year. Don’t save pretty candles just for when guests are over – make your home special for your family too. 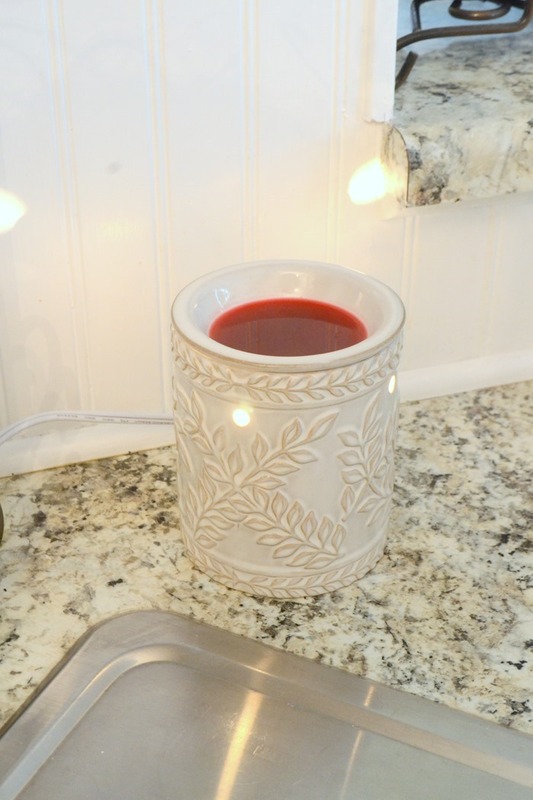 A friend recently inspired me to get one of these wax burners and I have it in my kitchen with fall apple spice scent in it. And I found this battery operated candle on clearance at Target last week and love that it is on a timer. I have it set to come on every night at 7 pm and it stays on for 4 hours. It is relaxing to enjoy the soft flickering light every evening and not have to remember to light/blow out a candle. And on some fall/winter evenings when we are just home for the evening and spending time together playing games or watching tv in the living room, I will light all the candles in the fireplace. We don’t burn a fire or have gas logs but this gives the ambiance of having a fire lit in the fireplace. 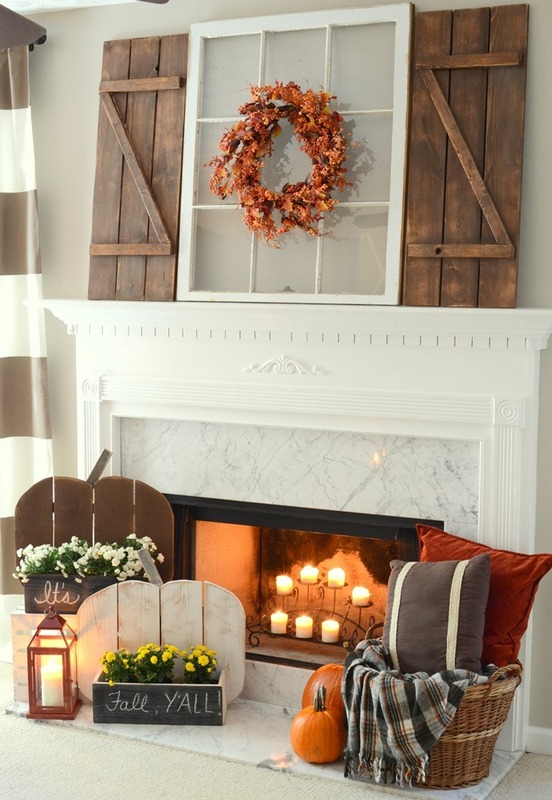 You can see all the details on my fall mantel here. Delight in making your home special for your family with a favorite scent (the smell of cookies or pumpkin pie in the oven) or by doing a simple thing like lighting a candle. Challenge for today: Delight all of your senses in your home. Make your home smell good in whatever way works for your family as you work to keep it clean. I would love to know your favorite scent in your home – is it a candle, the breeze coming through the windows, or something baking in the oven? This one smacks reality with me. I have two cats who can be stinky at times. I’m hypervigilant but in reality, I wonder if I am used to the litter box smell. Thanks for the olfactory reminder here. I will dig out my candles and light them up. 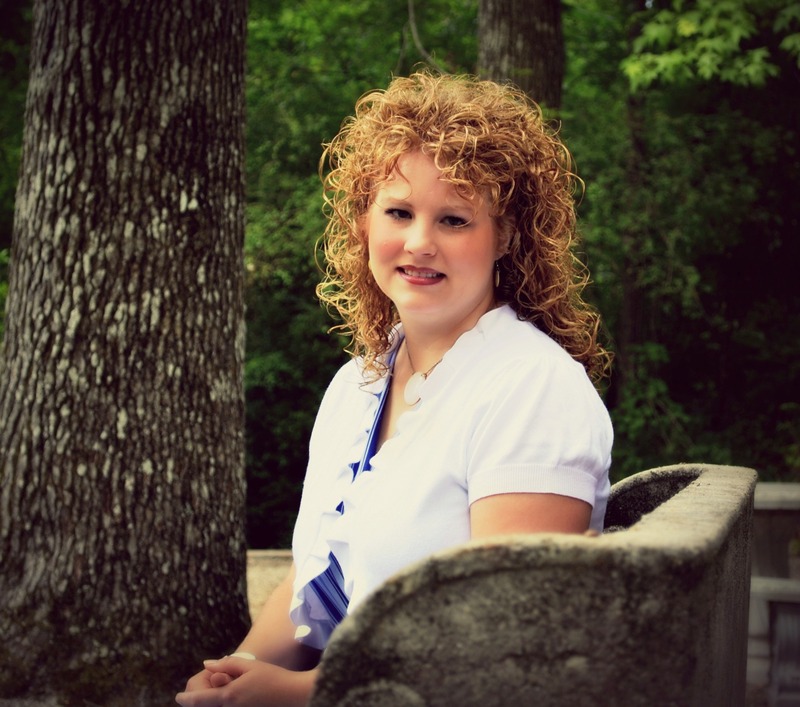 Your vignettes are so pretty! My all time favorite scent is the Home Sweet Home candle or spray (Yankee candle), but of course I love their Apple Pumpkin scent too, along with Mahogany Teakwood from Bath and Body Works. Pancakes in pjs by candlelight – why do I think you spoil your nieces and nephews? I have to remember this with my grandkids! Crisp fresh air from an open window or apple and cinnamon and clove from simmering pot of water is fall to me. My favorite candle for Fall/Winter is Fireside from Bath and Body works. They only come out in the fall so I stock up for winter when they finally get to the stores. For everyday I think the best smell comes from opening the windows and letting the breeze in. Oh yeah! Right now believe it or not, I’m loving the Glade Apple Tree candles. They are perfect for fall. I love my tart warmer. 🙂 Have a wonderful evening. I have a local friend that makes the most delicious candles (Folky Art Candles) and I have some of her wax melts and candles. So windows are open today and am melting my two favorites: Patisserie & Pemberly Manor!